I can not believe tomorrow is Christmas Eve! I still haven’t finished my shopping. I’m thinking it’s time to stock up on gift certificates. How in the world has time gone so fast? Everyone I know cannot believe how quickly Christmas snuck up on us this year. 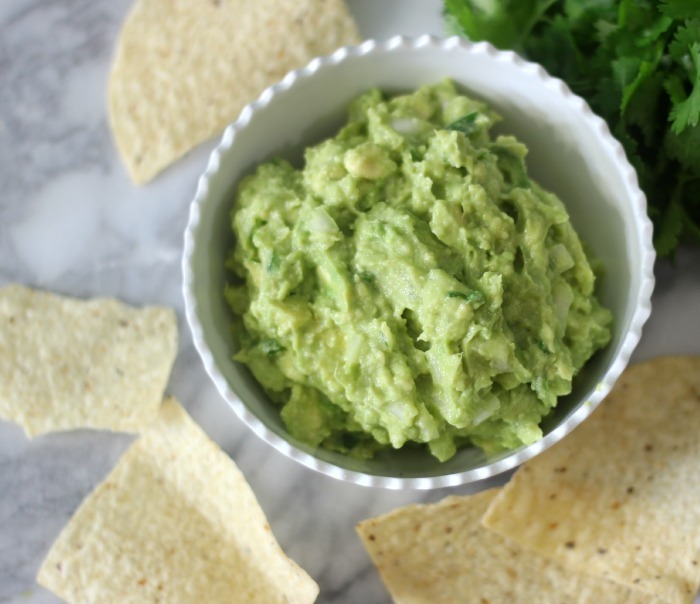 Well today I am here to show you how to have a“Holiday Party Guacamole Made Easy,” I love guacamole and it’s perfect for serving at your Christmas party. 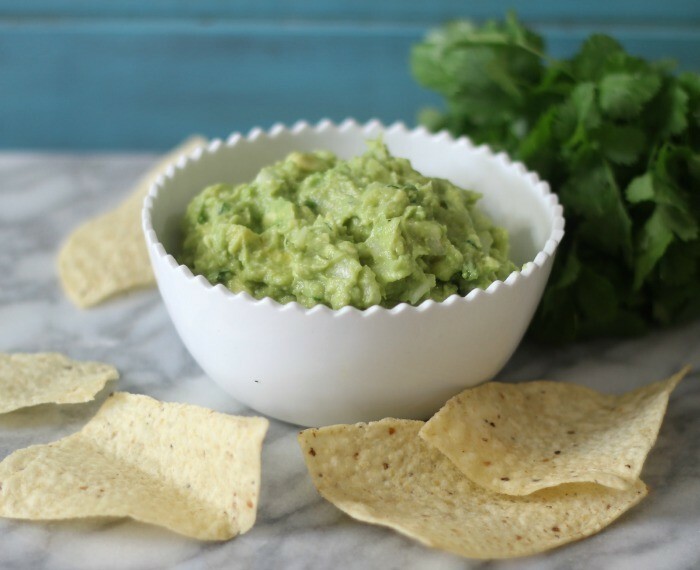 It’s green after all and it’s healthy, easy to make and one of my favorite appetizers. My guacamole is so easy to that it’s a dream to make for those times when you don’t have much time. 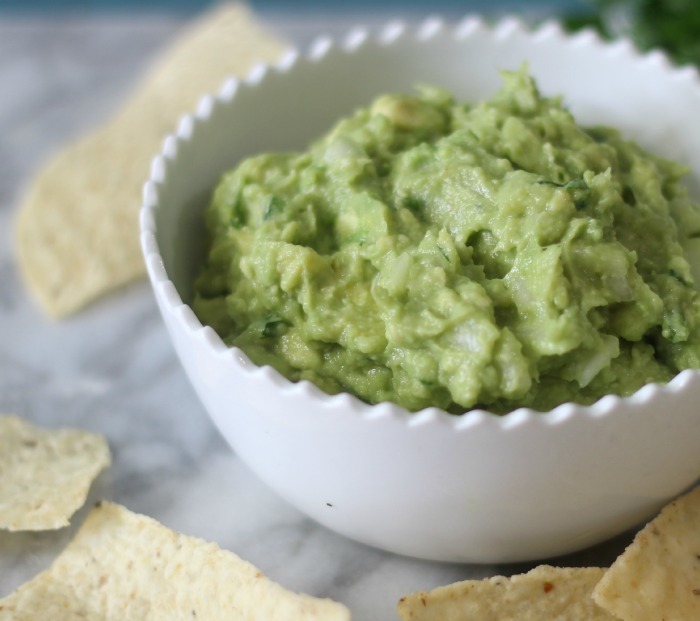 It’s made with Haas Avocados, lime, onion, garlic, jalapeno, cilantro, salt and cayenne pepper. Super easy, healthy, all natural and sure to please. 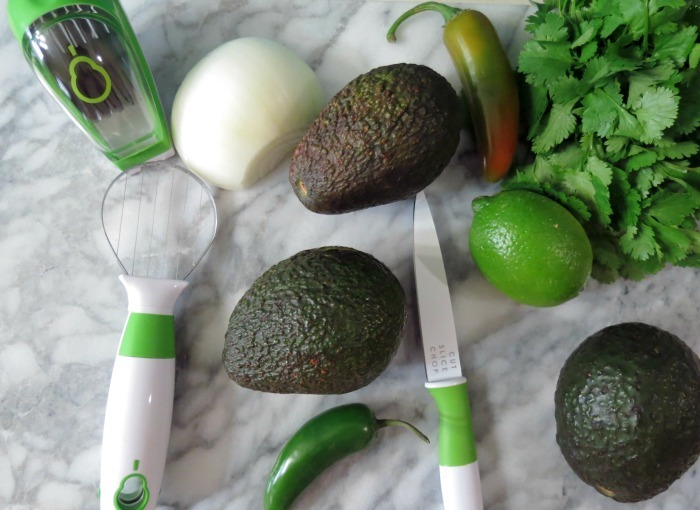 I have to tell you I have the newest, cool tool to use when using avocados. 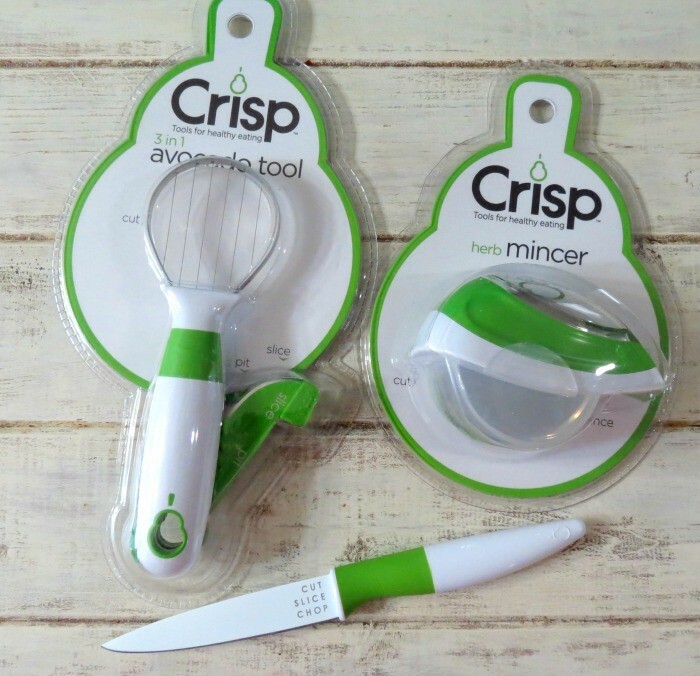 It’s the Crisp 3 in 1 Avocado Tool. 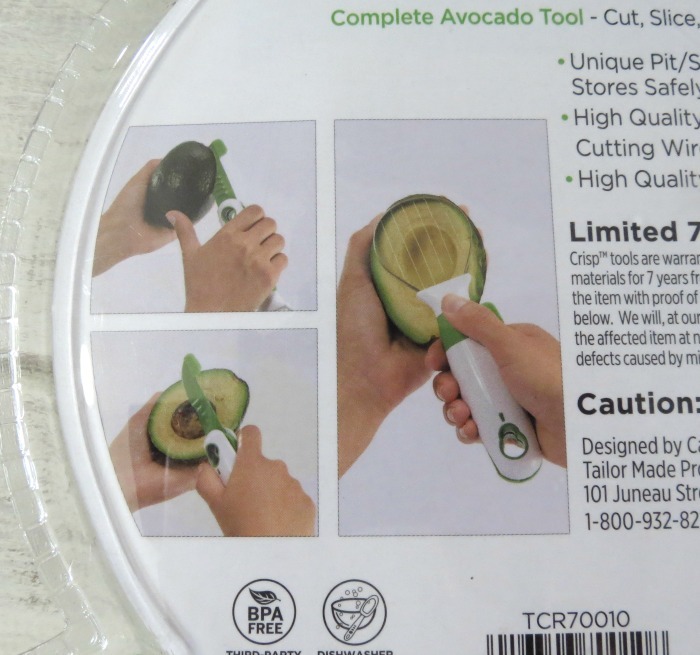 It’s cuts, pits the seed and scoops out the avocado. This was the first time that I got all of my delicious avocado out of its skin. I love that I only needed 1 tool to do it all. After I got my avocado into the bowl, I added the lime juice, gave a nice mix than added the onion, jalapeno and salt. For easy cutting of the vegetables I used the Crisp Straight Paring Knife. It made cutting the jalapeno so easy. As some of you may know I’m highly allergic to jalapenos, yet I can eat them raw. It’s the smell of them, it actually makes me choke. 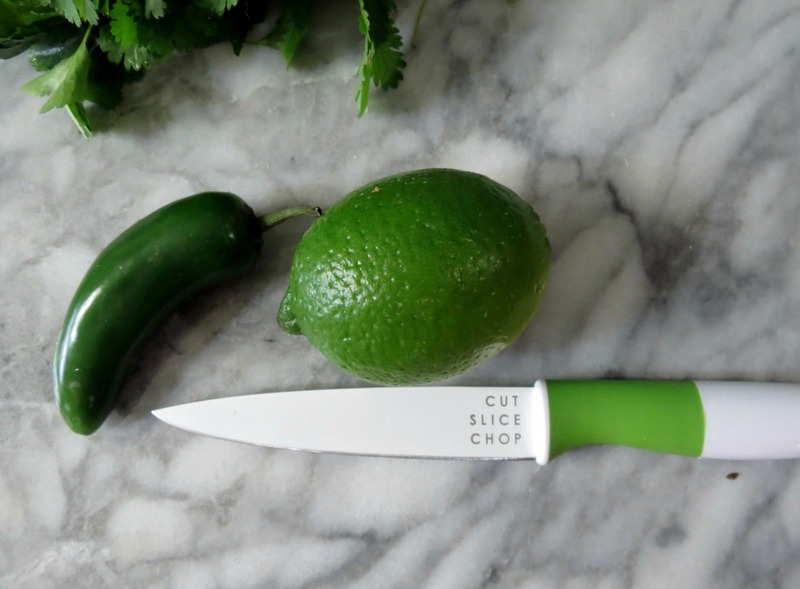 So with my straight paring knife I was able to dice my jalapeno in a matter of seconds. After adding my veggies, my last two ingredients for me to use is cayenne pepper, and fresh cilantro. 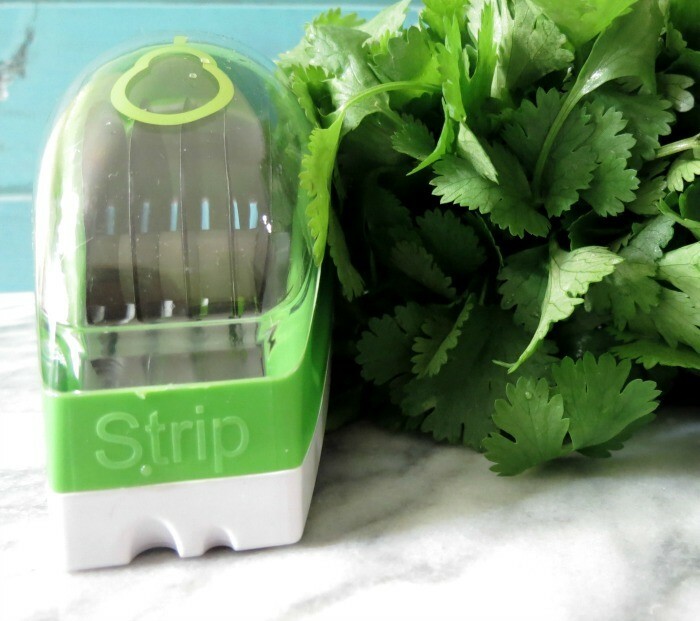 For cutting the cilantro I used the Crisp Herb Mincer. I just placed my cilantro on my cutting board and rolled over it. It made my cilantro nice and small. So easy to use. Plus it also minces, cuts and strips large and small herbs like rosemary. Pretty cool! This herb mincer will be used a lot! Now the best part is eating it! I served my guacamole with tortilla chips. This is truly one of my all time favorite recipes. I could eat this whole recipe. A healthy, all natural guacamole with just a slight kick of heat. Add avocado and lime juice to a bowl, mash with a fork until slightly chunky. Stir in jalapeno, onion, garlic, salt and cayenne pepper. Mix well, stir in cilantro. Let it sit at room temperature for an hour before serving. To keep the guacamole from turning brown, add two avocado pits and refrigerate until ready to serve. Great combination…a delicious recipe and easy and as can kitchen gadgets!! I could definitely eat the whole bowl. It looks WONDERFUL! !